I tried Honestly I did! I was just checking EBay for some reason, definitely not for more Epic 40k stuff oh no, and I saw something that would was missing from my collection. 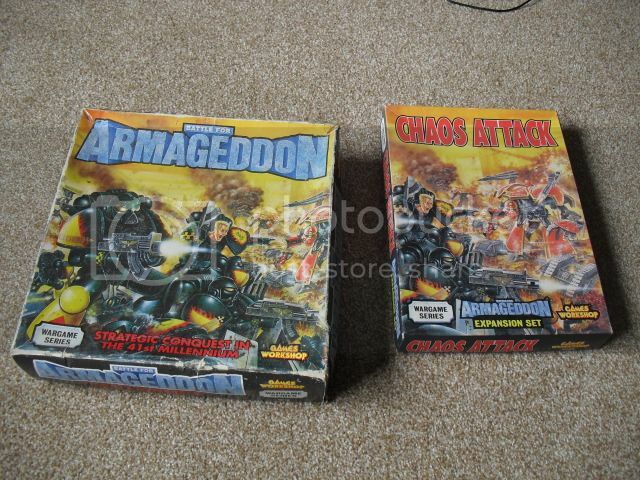 I already had Battle For Armageddon (BfA) so Chaos Attacks was missing and there it was. BfA was one of GW's Wargame series of games, along with Horus Heresy and Doom of the Eldar. This was during, what I consider, the golden age of GW boxed games. We had Man o'War, another of my favourites but I only have bits of it, Battlefield Gothic and Space Marine to name a few. GW's shotgun spread of games was quite prolific, although many of them disappeared as quickly as they appeared. 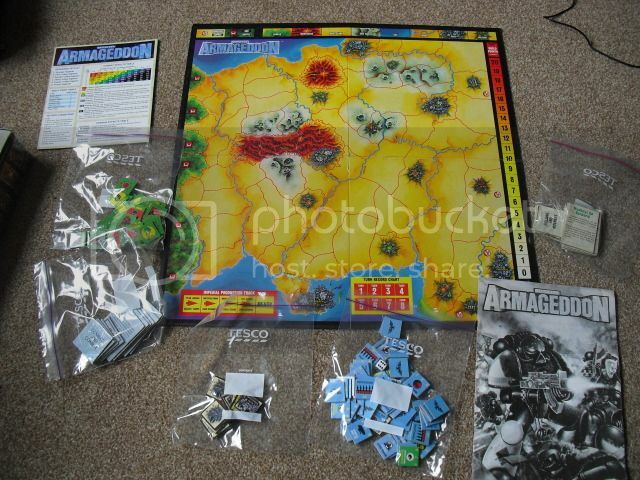 Back to Armageddon we have a classic wargame on a board. Little cardboard tokens represent the armies of the 2nd Armageddon invasion. Orks Vs Imperial Guard and Space Marines. I have a compulsion to put everything in sandwich bags. All my Games are like this, hopefully I am not alone in this. Now I have always thought that this was suspicously similar to Operation Barbarossa but cannot prove it and have not looked into it too much. Anyhoo The orks attack line up from the left and have to destroy the Imperial hives and the imperial player has to kill Ghazghkull Thraka and retain all the hives. It was an enjoyable game and to my eternal shame, I think as my memory is super fuzzy, I am sure I lost more games to my brother than I won. Games could easily swing but the ork player had to get a good start otherwise it would be tough as the imperial player gained strengh as the game went on but the ork player got very few reinforcements. ( a simple rundown of the game but it was actually a simple game. 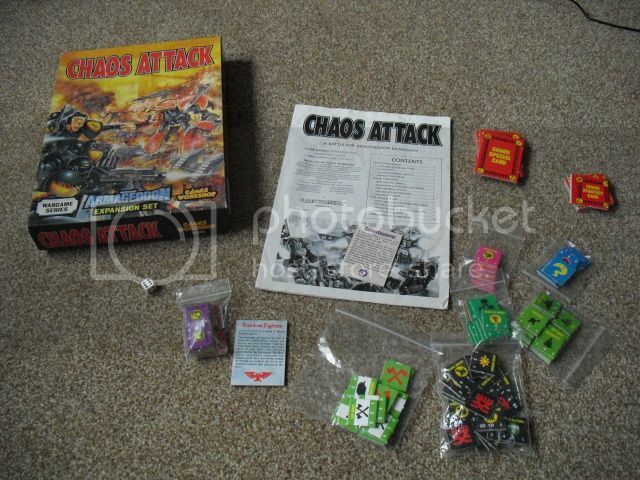 Then came Chaos Attacks, a supplement that originally appeared in White Dwarf, with new ork tribes, squats, Inquisitors and the chaos forces. Basically with the Chaos forces you are replacing the orks with chaos to represent the 1st Armageddon Invasion. It plays much the same but the chaos forces lack the surprise of the orks so have a tougher starting position. The Squats, ork tribes and even genestealers are alll for variations in the original game that just give it a different flavour. Here Genestealers can have allies! Ah good times! 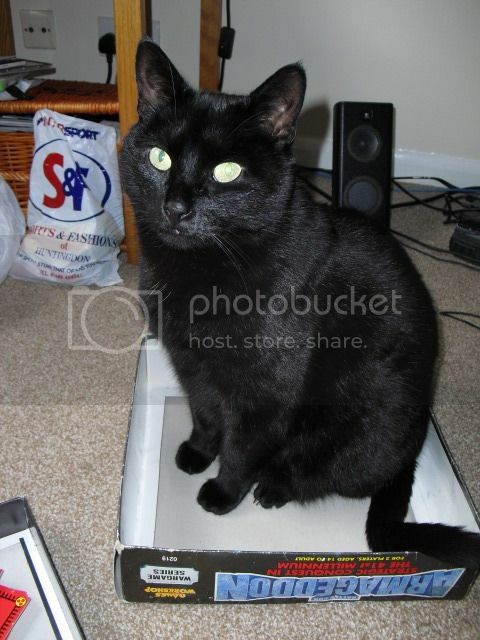 Feed me or the Vintage box gets it!